"This is a Borzoi book published by Alfred A. Knopf." 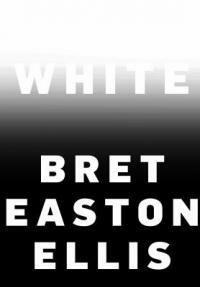 "Combining personal reflection and social observation, Bret Easton Ellis's first work of nonfiction is an incendiary polemic about this young century's failings, e-driven and otherwise, and at once an example, definition, and defense of what 'freedom of speech' truly means. Bret Easton Ellis has wrestled with the double-edged sword of fame and notoriety for more than thirty years now, since Less Than Zero catapulted him into the limelight in 1985, earning him devoted fans and, perhaps, even fiercer enemies. An enigmatic figure who has always gone against the grain and refused categorization, he captured the depravity of the eighties with one of contemporary literature's most polarizing characters, American Psycho's iconic, terrifying Patrick Bateman. In recent years, his candor and gallows humor on both Twitter and his podcast have continued his legacy as someone determined to speak the truth, however painful it might be, and whom people accordingly either love or love to hate. He encounters various positions and voices controversial opinions, more often than not fighting the status quo. Now, in White, with the same originality displayed in his fiction, Ellis pours himself out onto the page and, in doing so, eviscerates the perceived good that the social-media age has wrought, starting with the dangerous cult of likeability. White is both a denunciation of censorship, particularly the self-inflicted sort committed in hopes of being 'accepted,' and a bracing view of a life devoted to authenticity. Provocative, incisive, funny, and surprisingly poignant, White reveals not only what is visible on the glittering, pristine surface but also the riotous truths that are hidden underneath"-- Provided by publisher.